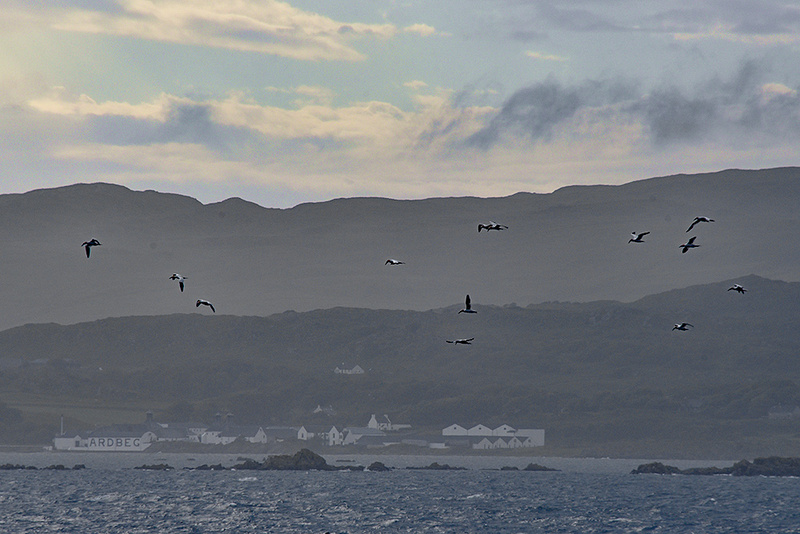 A company (apparently that’s the collective noun, if I can trust the interwebs) of Gannets flying south past Ardbeg, seen from the Islay ferry to Port Ellen. 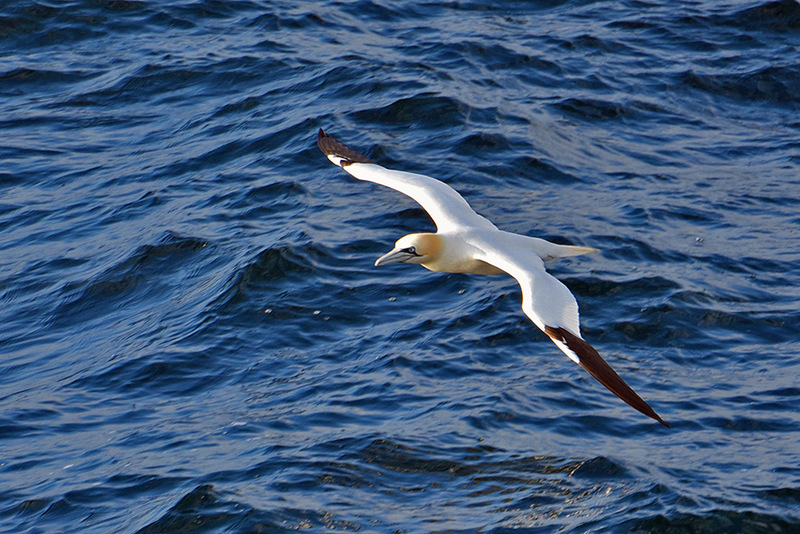 Watched from the ferry on the way to Port Ellen on Islay, a Gannet flying low above the water. Most Gannets I’ve seen from Port Wemyss or the shore at Saligo on Islay. 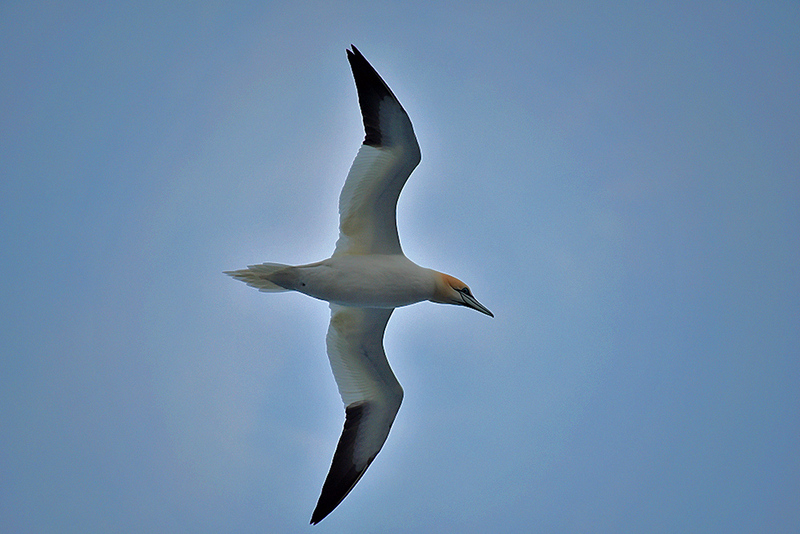 This one though was flying right above the ferry from Kennacraig for a while, allowing me to take this nice close up picture.